"The great success of the Tour was made possible by your generosity and kindness. 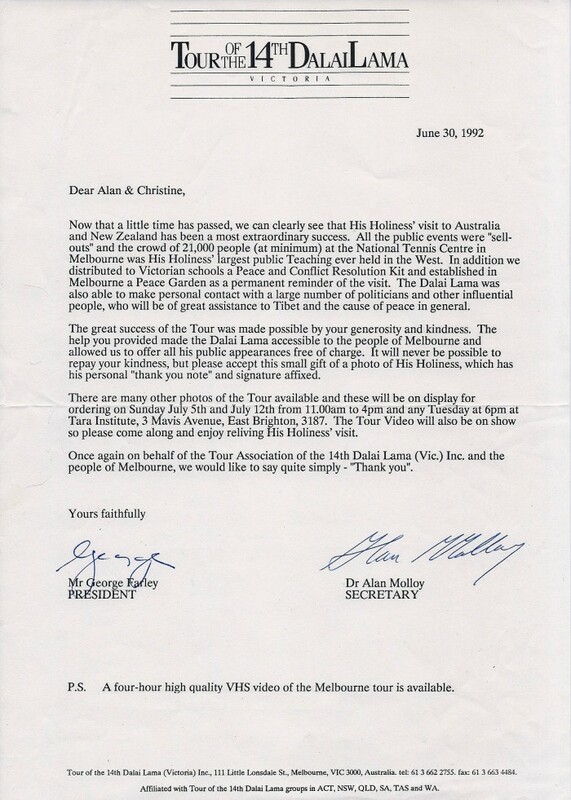 The help you provided made the Dalai Lama accessible to the people of Melbourne and allowed us to offer all his public appearances free of charge. It will never be possible to repay your kindness." TOUR REVIEW: Before the 1992 tour, His Holiness had received the Noble Peace Prize in 1989 and his status on the world stage had markedly increased. We were stunned by the enormous crowds that flocked to his teachings as he visited Perth, Adelaide, Melbourne, Hobart, Canberra, Sydney and Brisbane. Suddenly we were besieged by media requests, the police provided some tactical support and politicians flocked to meet him. This culminated in Paul Keating, the then Prime Minister, meeting him and agreeing to support the establishment of a Tibet Information Office in Canberra. This was funded by the leftover funds from the Tour and so the TIO in Canberra was formed and a formal representative of the Tibetan Govt in Exile became resident on Australian soil. 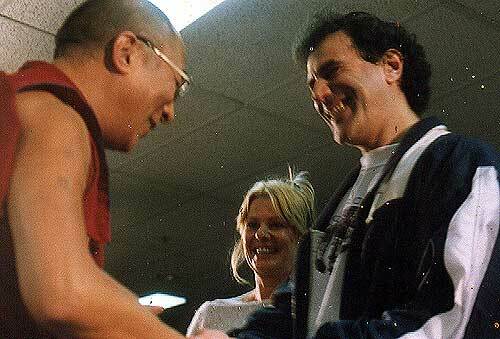 This was a great moment for the Tibetan people and we Australians made it happen. In 1992, The Dalai Lama met the Australia's Prime Minister Paul Keating, and the University of Melbourne makes him an Honorary Doctor of Laws.